The U.S. Supreme Court may be faced with another case pitting the federal government against a state. But unlike the health care law or immigration, the two sides -- Washington versus Rhode Island -- are fighting over a man in state custody facing capital murder charges that carry the death penalty. Rhode Island is trying to prevent the accused, 34-year-old Jason Pleau, from being handed over to the federal government to stand trial for the shooting death of a gas station manager in a 2010 botched robbery outside of a bank. The state's governor is refusing to cooperate with the federal government because of his opposition to capital punishment. Following a defeat in the tug-of-war over Pleau at the 1st Circuit U.S. Court of Appeals on Monday, Gov. 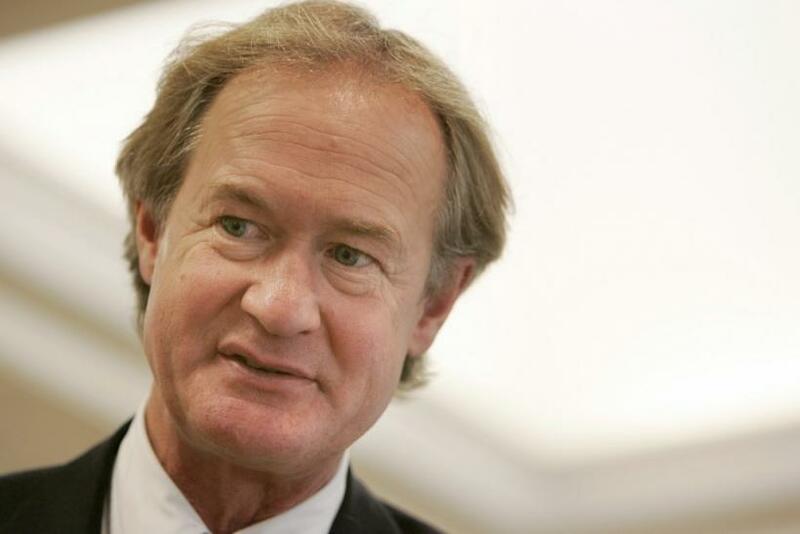 Lincoln Chafee said he will ask the Supreme Court to take the case. Chafee asked on Friday for a delay in the order to give up Pleau pending a Supreme Court petition, according to the Associated Press. The State of Rhode Island must seek to protect both the strong states' rights issues at stake and the legitimacy of its longstanding public policy against the death penalty, Chafee, an independent who was formerly a Republican, said in a statement. Rhode Island's top federal prosecutor, U.S. Attorney Peter Neronha, rejected Chafee's states' rights claim. The governor does not have the right to prevent a defendant properly charged by a federal grand jury from appearing in federal court to face federal charges, Neronha said. Nearly three months after David Main, the gas station manager, was murdered September 2010 during a stop at a Woonsocket, R.I., bank, a federal grand jury indicted Pleau for capital charges that could allow prosecutors to seek the death penalty, a decision that has not been yet been made. When the indictment came down, Pleau was in state custody, serving an 18-year sentence for parole violations. After a federal judge ordered him to be taken into federal custody to answer the indictment, he appealed to the 1st Circuit. Chafee intervened in the case to keep the defendant in Rhode Island to face life in prison. The appeals court initially sided with Pleau, but a five-judge panel, in what is known as an en banc hearing, said the defendant can stand trial in the federal case. The battle at the 1st Circuit involved a 1970 pact called the Interstate Agreement on Detainers that provides an expedited way for prisoners to be extradited to other states for trial proceedings. The federal government cited the agreement to avoid having to file a formal order for Pleau. Once Chafee rejected the request, the U.S. issued an order known as a habeas writ. At issue is whether the federal government must abide by the pact it invoked, instead of the mandatory order, and whether a governor has discretion to ignore the order. Chafee argued transferring of a prisoner depends upon comity that the governor may withhold, according to the court opinion. He based the argument on old court decisions that cited a 1922 Supreme Court case involving Charles Ponzi, the infamous Italian con artist whose name is associated with the investment scam. With Ponzi in a federal prison and Massachusetts attempting to prosecute him, the Supreme Court ruled that the U.S. Attorney General had discretion to hand Ponzi over to Massachusetts authorities. The appellate judges in Pleau's case, however, rejected the idea that comity goes both ways to allow a governor to hold onto a prisoner. The Ponzi case, the judges wrote, simply had nothing to do with a federal court's order to a state. [The Ponzi case] neither held nor said that a state governor may invoke comity principles to disobey a federal court habeas writ, the appeals court wrote. Regardless of the comity issue, the appeals court said even if the U.S. was bound by the interstate prisoner pact, that does not diminish the authority of a federal order demanding the transfer of a prisoner. State interposition to defeat federal authority vanished with the Civil War, the appellate judges said. Should Chafee win, the state prison would become a refuge against federal charges.